You are buying the Mabis DMI Vinyl Cushion Toilet Seat Seat Thickness: 4 which is manufactured by Mabis DMI. Mabis is a leading manufacturer of Raised Toilet Seat. At ADW Diabetes, we offer the complete product line by Mabis with great savings and excellent service. 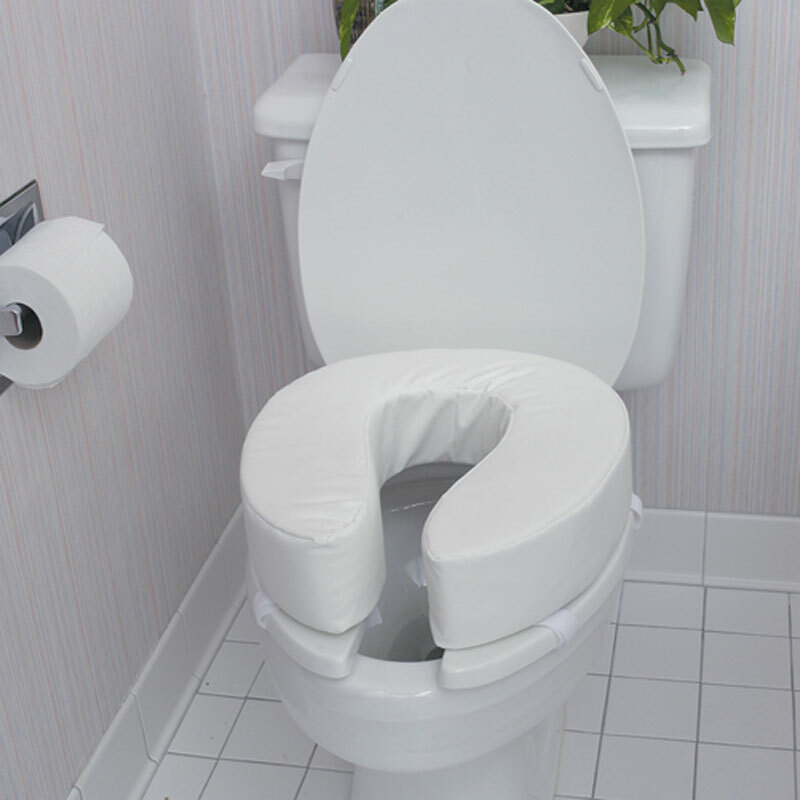 The 4" vinyl toilet seat cushion fits most standard-size toilets and commode seats. The attached Velcro straps secure easily to the toilet seat and help keep the vinyl seat cushion from shifting during use. Features foam padding for maximum comfort and helps minimize pressure points. Constructed of 4 foam padding upholstered in white vinyl measures 12" wide and 15" deep. Available in white only.